Wildlife continues to be threatened by these potent toxins: Brodifacoum, Bromadiolone, Difenacoum, and Difethialone. The chemical names aren’t important. They’re rat poisons or rodenticides, and their anticoagulant action delivers a slow bleeding death. Remarkably, they are purchased off-the-shelf at many stores and are used by pest control services. It’s the unintentional secondary poisoning by these agents which devastates our wildlife, especially carnivores such as the beauty pictured here. 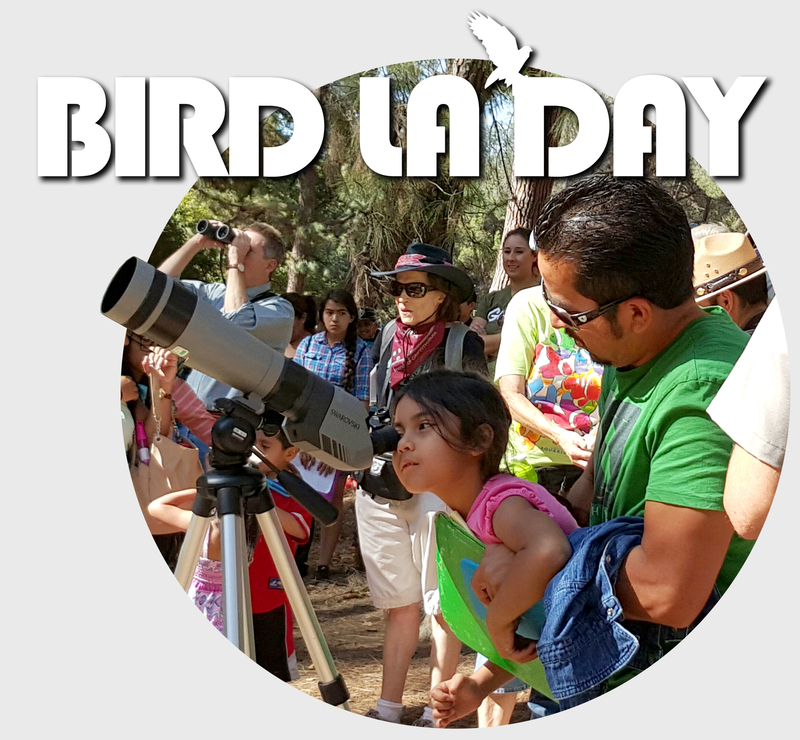 Earlier this year, Friends of Griffith Park published a four-page report concerning this issue. Since then, we have supported a proposed State of California regulation which will restrict the use of these poisons. Action has not yet been taken. We have also proposed that the City of Los Angeles initiate a council motion to ban these poisons. In 2008 the Environmental Protection Agency (EPA) gave the makers of these products a three-year notice for their removal from store shelves. It is incomprehensible that to date it still hasn’t happened because of prolonged legal challenges. 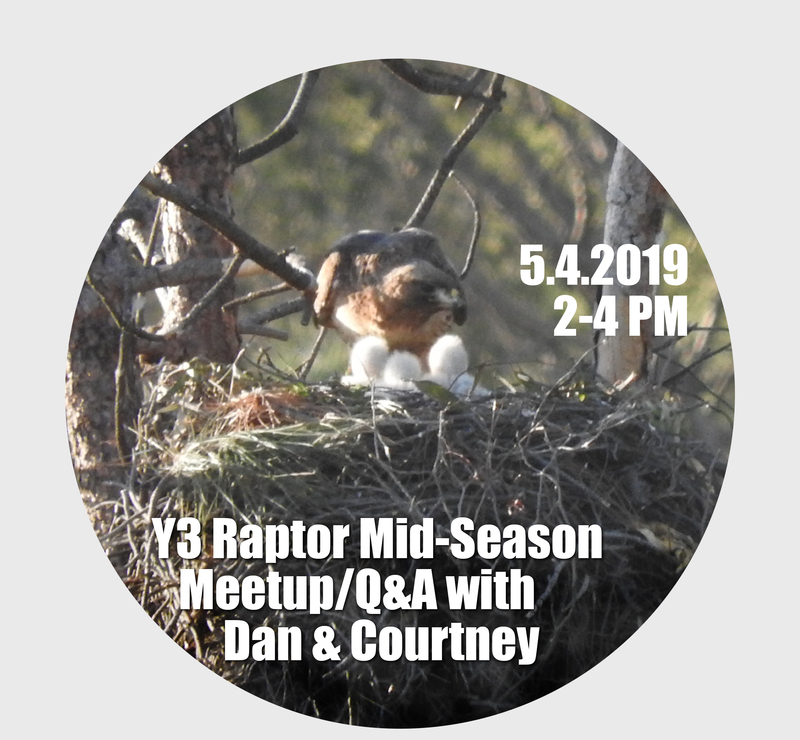 In the meantime, poison bio-accumulates in the bodies of various mammals and birds as they find poison-intoxicated, slow-moving rodents in backyards as easy prey. And, so it goes up the food-chain. The rat poison kills the rat but it also kills the hawk, owl, or bobcat that ate the rat. The unintended consequence is that these poisons accidentally kill the natural predators of rodents. 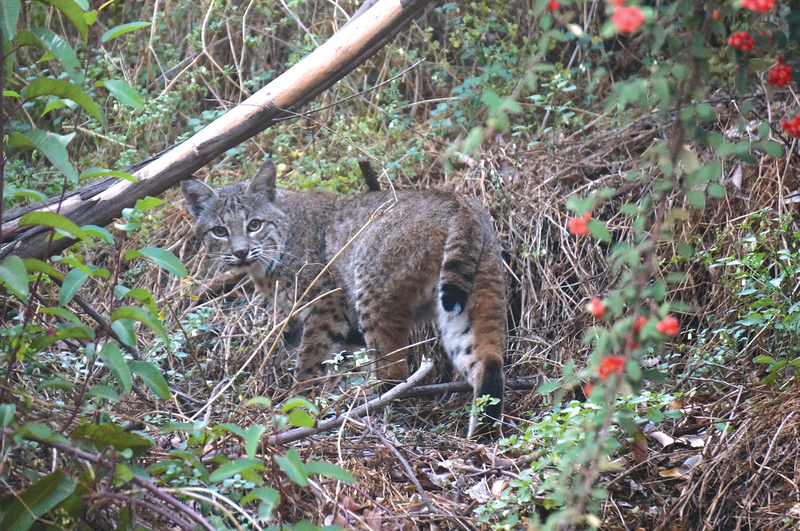 Since 1996, bobcat testing in the Los Angeles area shows that 95% have exposure to anticoagulant rodenticides, with exposure statistically tied with notoedric mange, a slow, ugly, painful way to die. 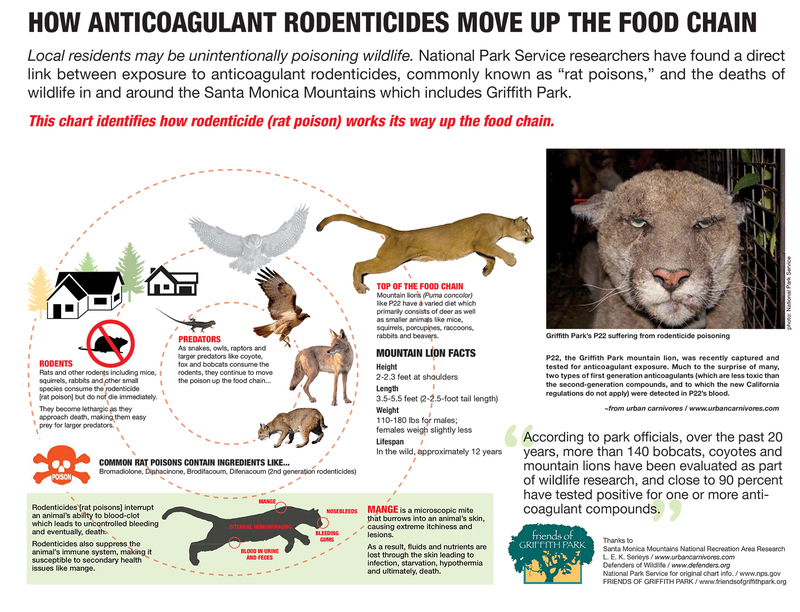 Two collared mountain lions in the Santa Monica Mountains recently bled to death from anticoagulant exposure after living on a diet consisting of small mammals. To do your part at your home: 1) take action to eliminate the cause of any rodent problem you may have by cleaning up food scraps in and around your home, and 2) use traps instead of poisons. If you rely on a pest control professional, be sure to stipulate that you don’t want to use anticoagulant rodenticides as any part of the solution.